The story of RISING FAITH began with Kristian Wallin's (vocals, guitar) answer to a classified ad placed by Kristian Enqvist (drums) and Stefan Englund (bass). Driven by enthusiasm for classic Heavy Metal, they it did not need much time before getting together their first songs on the "Demo 1999". The reviews were positive without exception, the English "MP3-Magazine" even put one of their songs 'Quest For Steel', on a compilation CD which had a circulation of 45.000 copies. 2000, RISING FAITH recruited MIT-graduate Jimmie Bergqvist as second guitar player in order to create an even more powerful sound. In October 2000, they booked the Los Angered Recordings Studio in Gothenburg and recorded the 5-track MCD "Imagination" - mixed and mastered by none less than Andy La Roque (King Diamond, Death). 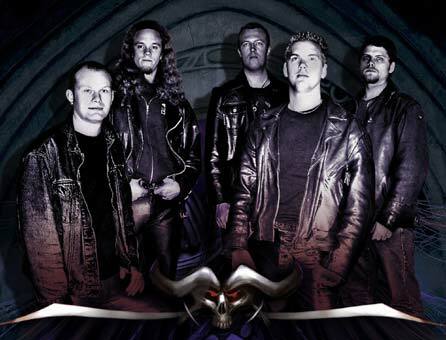 In 2001, the band grew: Fredrik Jordanius took over as second guitar player so that Kristian Wallin would be able to concentrate even more on singing. A superb move, because the new guitar duo Jordanius/Bergkvist made a mark on RISING FAITH's musical orientation. 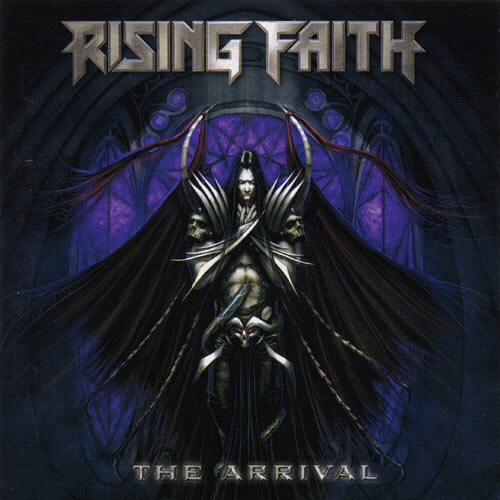 Very melodic choruses, combined with dark double guitar attacks which remind one of MERCYFUL FATE or JUDAS PRIEST, are a feature of RISING FAITH's unique and incomparable composition style - this could already be heard on a release they simply called "Promo 2001". 2002, Kristian Enqvist was replaced by Tony Gelander behind the drums, and slowly but surely, several record labels got interested in the band. After a thorough check of all offers, RISING FAITH decided to cooperate with Limb Music Products. The official debut "The Arrival" was produced by Pelle Säther & RISING FAITH, recorded in Västeras at the 'Studio Underground' studios and again mastered by Andy La Roque.